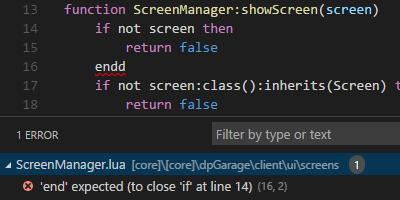 Visual Studio Code>Linters>Lua linterNew to Visual Studio Code? Get it now. A simple Visual Studio Code extension to lint Lua scripts with luac -p or luajit -bl. Ensure that luac is installed in your system. Run Install Extension command from Command Palette.